Or, to expand a bit, Dreamwork’s How To Train Your Dragon. Which is, of course, based on a book. Aren’t most things? Anyway, The Boneknapper. Taylor Bagg‘s rendition looks frightening, detailed, and quite lovely. Kidding. Loved the movie, and this is great. 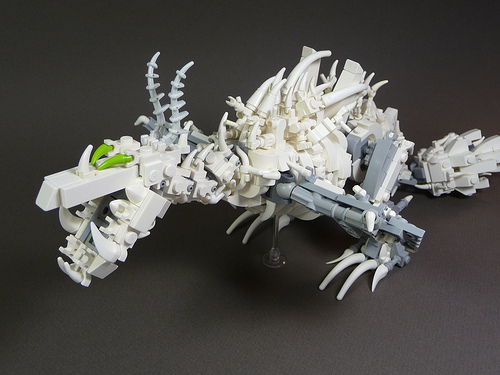 Love dragons, the books and this MOC.